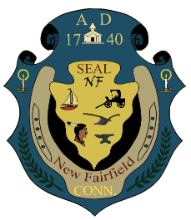 NEW FAIRFIELD – The Board of Selectmen and New Fairfield schools presented their proposed 2017-2018 fiscal year budgets to the Board of Finance and the public on March 4. School safety was the overwhelming sentiment of the day in the discussion of the school budget, while getting back to normal after the last year’s state budget uncertainty was a theme governing the municipal budget. Board of Education Chair Peggy Katkocin presented the school budget, with input from Superintendent Dr. Alicia Roy and other school administrators and BOS members. The BOE presented a total budget of $42,897,153, an increase of $1,992,025, or 4.87% from the previous year. The total non-payroll portion of the proposed budget shows an increase of 9.67% over last year’s budget to $8,980,881. Non-payroll includes cost of maintaining buildings and grounds, interscholastic athletics, curriculum and programs, and other operating expenses. A large portion of the increase–$416,006—is for special education. Ms. Katkocin explained that the cause of the increase is the anticipated 22.28% increase in the number of students being placed in out of district programs. The jump in the budget would be used to fund transportation to and participation in those programs and services. Ms. Katkocin noted that these programs are not available in-district and enhance learning for students with physical, learning, and emotional disabilities or challenges. The payroll and benefits portion of the proposed budget would increase 2.44% to $25,852,531. 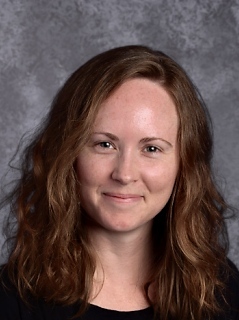 Ms. Katkocin stated that over the last seven years, the school district has decreased personnel by almost 29 full-time staff while new education standards have moved to a more team based blend of teachers and support staff. With that in mind, the Board is requesting a second Life Skills teacher to assist with the increase of students with special education needs in the high school and middle school. The Board is also requesting, as it has in previous years, a math teacher/instructional coach for Consolidated; two Science, Technology, Engineering and Math (STEM) Coaches at the Middle School and High School; and two School Safety Advocates. During the public commentary portion of the presentation, the overwhelming area of concern voiced by residents was the safety of student and staff. Although safety is at the forefront in the wake of the recent school shootings in Parkland, Florida, this is a concern that has been voiced by many members of the public since Sandy Hook more than five years ago. their willingness to pay more in taxes if necessary to achieve this. Currently the district has only one. Those commenting urged all three boards to work together to develop constructive ways to fund security measures. According to those who spoke, a School Resource Officer (SRO) is more than just a police officer in school. It’s a position that requires specialized training to teach, counsel and protect students. Duties range from protecting the grounds from intruders, to addressing social-emotional issues, bullying, and related behaviors. The cost for an SRO is significantly higher than that of a school safety advocate. SROs are not employed by school districts, but are officers employed by the town, hence the need for all boards to work together to find a workable solution. The Board of Finance was very receptive to the idea. It asked members of the BOE if they were satisfied with the recommendation in the budget for two school safety advocates and the answer was no, but that it was all they could recommend as part of the school budget. BOF member Anthony Yorio stated that he would like see a budget with an allowance for two SROs. Member Cheryl Reedy urged both boards to think out of the box and to work together when addressing school security. She told them to take the time to work together and develop the best plan to keep the children in the community safe. Mr. Yorio noted that he did not see anything for security in the capital improvement budget and suggested a continuing line item be instituted within the budget for that purpose. Board Member Brian Shea asked BOE members not to just accept the conventional thinking on the cost and background of School Resource Officers. He advised them to look for unconventional solutions as well, so that all options are considered. BOF Chair Wes Marsh advised both boards that time was of the essence saying, “Take your time, but hurry up” in crafting a solution that can be inserted into either budget. He noted that a deadline to get something added to the budget would be mid-April at the latest. While it was still possible to go back to the voters to ask for SRO funding after a budget was approved, it would be harder. The Board of Selectmen then presented its proposed budget for 2018-2019. The BOS held 12 budget workshops over the past couple of months, meeting with all town department heads for input on their budget needs. Services that make up the municipal budget include road maintenance and plowing, senior services, police, fire & EMS, land use, events and activities, and the library. The Board noted that the ongoing uncertainty of the state budget situation continues to be a factor, as it was last year, in determining the municipal budget. The BOS is proposing a municipal budget of $11,933,018, an increase of $1,021,672, or 9.36% from the previous year. In her review of the proposal, First Selectman Pat Del Monaco acknowledged that the proposed increase is larger than in recent years. Ms. Del Monaco noted that half of the increase was the result of reinstating $500,000 to the Road Repair budget. Due to the uncertainty of state funding last year, the BOS had been forced to eliminate that item from the 2017-2018 budget. Another item of note was $190,000 for bridge and drainage projects for Saw Mill bridge and Bear Mountain bridge as well as streetscape. Ms. Del Monaco noted that the Town was receiving an 80/20 grant that would pay for 80% of these projects. The amount requested would pay for the town’s 20%. A $43,236 increase to Ambulance/Paramedic services. $35,429 for additions to payroll and $140,000 to replace an aging roadside mower were also named budget priorities. In the public comment portion of the presentation, Selectman Kim Hanson stated that he supported the majority of the municipal budget proposal, but that he had voted against it at a recent BOS meeting because he did not feel that all of the proposed new positions and changes to positions added to the services provided to residents. BOF Member Anthony Yorio asked the Board if School Resource Officers could be added to the municipal budget, possibly by adjusting the state trooper budget. Ms. Del Monaco replied that she supports SROs and that the BOS would be willing to work with the BOE on a solution. 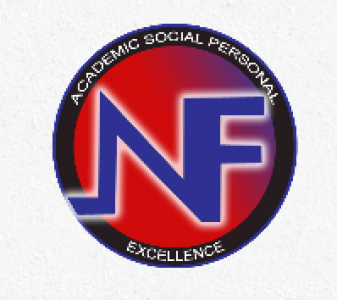 An overview of the Board of Education’s Recommended Budget can be found by going to www.newfairfield.org and clicking “About New Fairfield” then “New Fairfield Public Schools”, and scrolling down to “2018-2019 Superintendent’s Recommended Budget”. The Board of Selectman budget can be found at www.newfairfield.org and clicking “Municipal Budget”.